As tree surgeons covering Barston, near Solihull, we love the rural nature of the village and the beautiful ancient buildings. We travel all around the area with our tree surgery team, pruning, lopping, cutting and felling! We enjoy working in the open air and our customers appreciate the care and time we take to ensure their trees are properly maintained and treated in order to get the best from them. 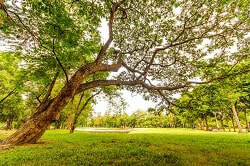 Like all living things, trees respond to a bit of love and attention and it's our aim to take care of our environment.